3 x 8 1/4 Inch CX Flex Tire Patch CX24 BOWES TR 14107 Box of 10. 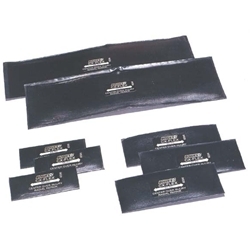 Rayon cord reinforced patches designed to withstand the higher pressures and deflection stresses of truck tires. Chemical or heat application can be used.